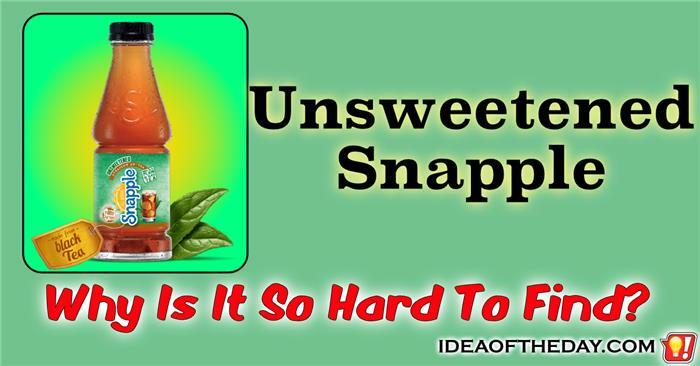 Unsweetened Snapple. Why is it So Hard to Find? It's easier to find Bigfoot than it is to find Unsweetened Snapple Iced Tea. I've never seen Unsweetened Snapple Iced Tea in stores, in spite of the fact I drink unsweetened Iced Tea almost every day. That's pretty strange, considering they are one of the most popular brands of Iced Tea. Obviously this has a lot to do with a lack of shelf space, but Snapple should encourage retailers to use some of their shelf-space for Unsweetened Ice Tea. Most of them already carry dozens of other Snapple flavors, so they can drop one of them without any drop in sales. They shouldn't assume that people who don't drink their sweetened versions are looking for Diet versions that contain artificial sweeteners. Snapple Tea Bags. Where are they? 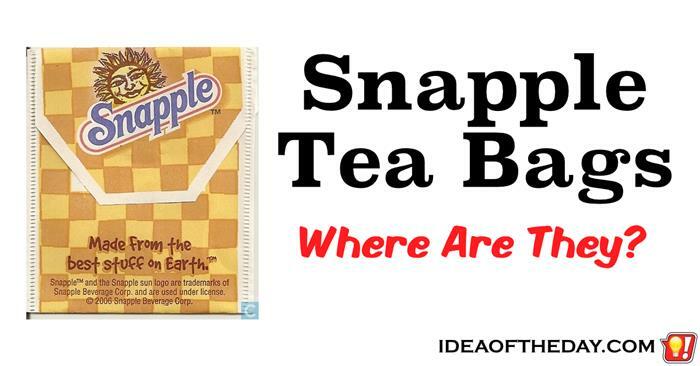 A while back, you could find Snapple Tea Bags in supermarkets. Snapple's slogan is "Made from the best stuff on Earth", which means the most important ingredient in their Iced tea... is tea. Tea is the most popular drink in the word, so it makes sense that tea bags made from their tea would be a huge seller. Some people may think that selling their tea might hurt sales of their bottled versions, but the truth is, it only further improves their brand. It's not unusual for a beverage company to sell their main ingredients to the public for making their own drinks at home.